Seven councils have contributed a total of £45m to help fund the restoration of a section of rail line between Cambridge and Oxford. The section between Bicester and Bletchley was closed in 1963, but has been earmarked for restoration as part of a scheme to link the two cities. The Department for Transport said work on the new section could begin by 2017. 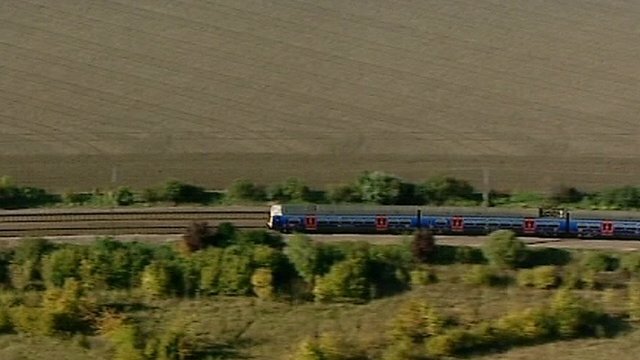 The East West Rail Consortium campaign to restore a final section from Bedford to Cambridge will continue. The consortium has proposed two schemes to restore the complete rail line between Oxford and Cambridge. The £45m from the councils is the consortium's contribution to the overall budget which is yet to be fixed. The timing of the project coincides with a plan to update part of the Chiltern Railways line between the Midlands and London which will include a new spur to Bicester to be extended to Bletchley. Milton Keynes Conservative MP Ian Stewart said the line was "vital for a number of reasons, such as reducing congestion on the roads, but also for jobs". "Increased links are important with Oxford, Bedford, Aylesbury and further afield and could bring 12,000 jobs." Contributions to the fund came from Milton Keynes Council, Buckinghamshire County Council, Oxfordshire County Council, Cherwell District Council, Central Bedfordshire Council, Bedford Borough Council and Aylesbury Vale Council. The consortium's campaign is looking for approval and funding to complete the line, which would link businesses in the west of the country to ports, airports and companies across the east.